Diller Scofidio + Renfro is an interdisciplinary design studio that integrates architecture, the visual arts, and the performing arts. The New York City-based studio established its identity through independent, theoretical, and self-generated projects, and has realized over 60 art/architecture projects around the world. 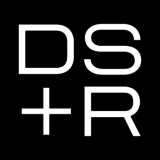 DS+R is led by three partners—Elizabeth Diller, Ricardo Scofidio, and Charles Renfro—who collaborate on the design of each project with a staff of architects and artists. For their commitment to merging art and architecture with issues of contemporary culture, founding partners Diller and Scofidio were recognized by the MacArthur Foundation "genius" award, the first given in architecture. Diller Scofidio + Renfro's architectural work includes Lincoln Center for the Performing Arts in New York City, comprised of the redesign of Alice Tully Hall, the renovation and expansion of The Juilliard School, the Hypar Pavilion Lawn and Restaurant, the expansion of the School of American Ballet, the Information Landscape, public spaces throughout the campus, and a pedestrian bridge; the High Line, an urban park situated on an obsolete elevated railway stretching 1.5 miles long through the Chelsea neighborhood of New York City; the Brown University Creative Arts Center in Providence; the Institute of Contemporary Art in Boston; Slither, a housing complex in Gifu, Japan; and Blur, a pavilion built of fog on Lake Neuchâtel and commissioned by the Swiss Expo. In addition to The Broad in downtown Los Angeles, the Stanford University Art & Art History Building in Palo Alto will open in 2015. Projects opening in 2016 include the Berkeley Art Museum & Pacific Film Archive at the University of California, Berkeley; the Columbia University Medical Education Tower in New York City; the Dissona Live-Work Complex in Dongguan, China; and the Museum of Image & Sound on Copacabana Beach in Rio de Janeiro, Brazil. Other projects in progress include Morph Tower and Culture Shed, a 70-story residential tower and start-up cultural institution, respectively, in New York City’s Hudson Yards; the Museum of Modern Art (MoMA) expansion and the Columbia University Graduate School of Business, both in New York City; Zaryadye Park, a 35-acre public space next to the Kremlin in Moscow; and the US Olympic Museum in Colorado Springs. The studio’s recent installation and curatorial projects include Musings on a Glass Box, an installation at the Fondation Cartier in Paris; The Look, a curated fashion project commissioned by the DESTE Foundation for Contemporary Art in Athens, Greece; Charles James: Beyond Fashion, a fashion exhibition at the Metropolitan Museum of Art; Zaryadye Park: Augmented Atmospheres, an installation at the 14th Venice Biennale demonstrating concepts from the winning competition entry; and The Art of Scent 1889-2010, an exhibition of olfactory art at the Museum of Arts & Design. Recently completed performance projects include Be Your Self with the Australian Dance Theatre; and Traveling Music for Evento 2009 in Bordeaux.